Every golfer will have experienced that inward groan as their ball sails off line and into the deep rough to the left or right of the fairway. They may also feel the hairs standing up on their neck in more than a little frustration as they hear the muffled sniggers of their playing partners behind them on the tee. Whatever the ability of the golfer, they’ve all experienced this sensation; some more times than others, obviously. The first and most obvious thing to do is not to panic, or let the red mist descend. However frustrating the day on the course has been, the temptation to release the tension by letting both ball and vegetation “have it” via a violent swing of the club is not going to get either the player or more importantly the ball anywhere. Count to 10 if you have to – whatever calms you down – but start thinking straight as soon as you have left the tee and begin walking off in search of the ball. Once you have located the position of your next shot, assess how badly the lie is. In less challenging rough, it may well be that there is still the opportunity to salvage a bogey from the hole by using a long iron to set you up within striking distance of the green. However, don’t be too ambitious as it is likely the contact between club face and ball will be compromised by the vegetation, leaving you with the possibility of another, or even bigger, headache when it comes to addressing your next shot. So err on the side of caution and choose a club with some loft to ensure that you escape the clutches of the grass and leave yourself in a reasonable position on the fairway. 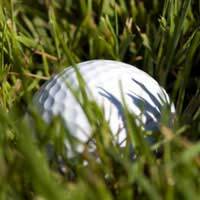 In deep, thick grass, the aim is all about damage limitation. And that means channelling all your energy into getting back onto a playable surface. Forget ambition, forget position and just dig that ball out of there. The deeper the grass, the worse the contact between club face and ball is going to be so you are going to have to weigh up your options. Ask yourself whether there really is a realistic chance of making the fairway, or would taking a drop be the best solution? The latter option may sound like the golfing equivalent of raising the white flag, but it may provide you with the opportunity to salvage your round. Remember that it is the score you record at the end of 18 holes that everyone remembers, so look at the bigger picture. Of course, the best strategy in terms of the rough is not to find it in the first place, but once you have handled the situation a few times, it will not be stuff of golfing nightmares that you thought it would be. The more calmly you approach it, the better the results will be - much to the disappointment of your playing partners. Naturally, you wouldn’t wish a similar fate should befall them, but should it happen, then allow yourself at least a wry smile. After all, delighting in an opponent’s misfortune is all part of the game, isn’t it? Is PowerPlay a winning formula?